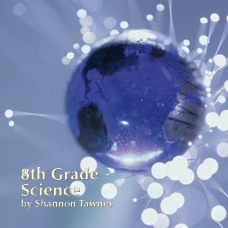 The 8th Grade Science course offers three specific units: Dynamic Earth, Introduction to Thermodynamics and Chemistry, and Environmental Science. Each unit offers a variety of investigative, exploratory and cooperative lessons that engage students in becoming active learners. 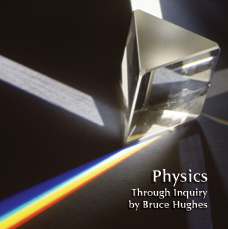 Correlated to state standards, the lessons incorporated within this course are designed to allow students to become involved in scientific inquiry and discovery. 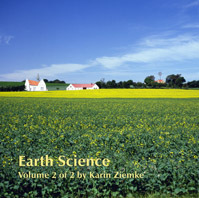 Through incorporating a variety of reading strategies, students will apply scientific concepts to real-life situations. In order to facilitate classroom implementation, teachers receive a pacing guide, comprehensive daily lesson plans, overhead masters, PowerPoint presentations and assessment material to ensure student mastery of science content. Through the Dynamic Earth unit, students investigate the structure of the earth and explore the forces of plate tectonics, weathering, erosion and deposition. In addition, students discover the history of our biologic and geologic planet by analyzing the fossil record and investigating geologic time. Introduction to Thermodynamics and Chemistry provides students with the study of heat and energy and their relationship to the changes in matter. 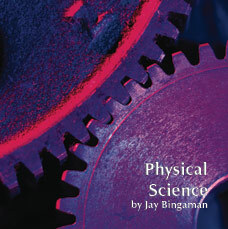 Students explore and discover how matter can change form through simple physical changes or complex chemical reactions. In the Environmental Science unit, students explore the delicate balance of living and nonliving factors within ecosystems. Biomes, energy roles, food chains /food webs, and symbiotic relationships provide the basis for study. An integral component of this unit explores the effects of human actions on ecological balances. Coupled with in-depth scientific investigations, this course provides strategies and techniques that foster sound pedagogical methods that highlight the importance of reading in the science curriculum. This comprehensive resource provides extensive student-centered activities along with detailed lesson descriptions and necessary resources. The course provides support for the new and out-of assignment teacher while enhancing the experienced science teacher’s repertoire of resources. The 1st six lessons of the 3 major units are listed below. A complete list of all lessons may be found in the sample area. 1-1: What’s Inside Earth? 2-1: Bring on the Heat: Temperature and Thermal Energy 3-1: What Makes an Ecosystem? 1-5: Earth’s Moving Plates 2-5: Some Like it Hot: Thermal Expansion 3-5: What’s the Relationship? 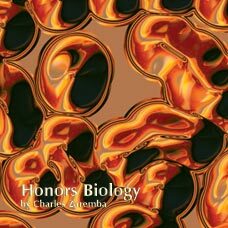 1042/ISBN: 978-1-59657-618-6, 1042/ISBN: 978-1-59657-099-3, Class Set download files/ISBN: 978-1-59657-619-3, 433/ISBN: 978-1-59657-457-1, 433/ISBN: 978-1-59657-100-6, No page count.No ISBN number. Use product code.